The next day, we were on our way to Atlanta. 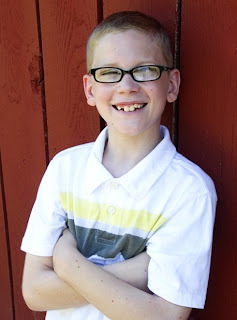 The doctor's hope was that our son might receive a transplant before it was too late. However, to our amazement, after a few days of testing the doctors informed us that our son was not eligible for a transplant. They reminded us that Drew had suffered from a week of bleeding lungs and grade-four bleeds of his brain. “I’m terribly sorry, Mr. and Mrs. Sinclair, but there is no way your son could survive an intense procedure like a transplant surgery. Such an attempt would, without a doubt, cause massive hemorrhaging throughout the rest of his body.” The doctors did give Drew a “cocktail” of drugs that had helped in a small percentage of infants in the past. However, the doctor said we would see improvement in just a few days if the drugs were going to work. After a week of absolutely no improvement, the doctors tactfully explained to us that our son would not likely live but a couple months. In just a few days, Drew’s grade-four bleeds all but vanished. His swelling went down. His blood work stabilized. 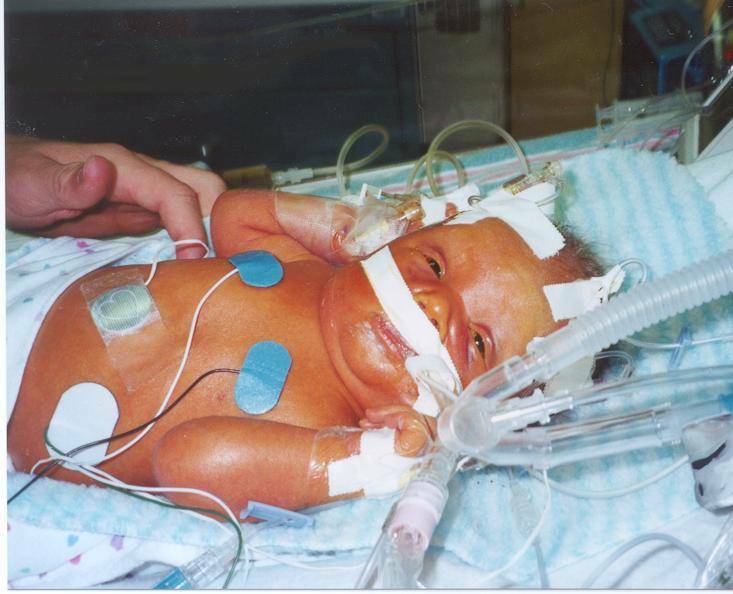 He started breathing without the aid of the ventilator, and he began opening his eyes and moving around just like any “normal” baby his age. Now, after the two-month period of time the doctors projected our son might live, he is home and doing perfectly fine! Praise the Lord! “What is the cure?” you may be asking yourself. JESUS CHRIST IS THE CURE! He said, “I am the way, the truth, and the life.” No other cure exists (Acts 4:12). You see, Jesus Christ loves us so much, He died on the cross for all the sins of mankind (Romans5:8). He has already created the cure and made salvation from sin’s penalty available to anyone willing to receive Him. Just like any cure, He must be taken and received into your life. Salvation is a free gift to everyone. However, not everyone will die and go to heaven, because not everyone has turned from his sins and received Jesus Christ as his Savior. Current Update on Drew’s Condition: Shortly after the tract you just read was printed for distribution (more than 100,000 have been printed), we noticed that Drew was having difficulty with the development of his eyesight. We took him to a few doctors and the end result was two eye surgeries. The necessity of these surgeries was an indirect result of his liver disease. Since the age of four months Drew has worn very thick glasses, but these glasses are the only permanent effect of the disease. He requires no medication for any reason today, and he never had a liver transplant or surgery! Today, Drew is a pretty normal kid. With the aid of his glasses, he has 20/40 vision in one eye and 20/100 vision in the other. He has learned to read. He runs and plays like most kids his age, and loves to play his Nintendo DS. He is normally very healthy. He can quote from memory about fifty verses from the Bible and all sixty-six books of the Bible in order. He is a good "big brother" to his sisters and his favorite cartoon characters are Buzz Lightyear and Spiderman. We have knowledge of more than ten people who have trusted Christ through "Drew’s tract." If you would like to donate to help with the next printing, you can mail a check to our home church, Calvary Ind. Baptist Church. The address is printed below. It costs about five cents to print each tract in full color on quality paper.